He was in the sake business, named Chiyokura 千代倉 and had a rich estate. Basho had sent him various letters during his travels. He lived in Narumi 鳴海の知足亭, now Nagoya. 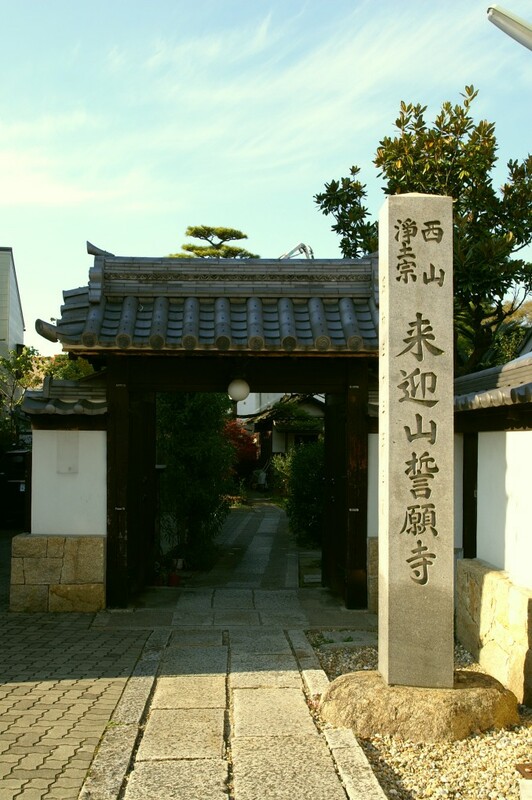 Narumi was a postal station of the Tokaido road and business was good. Chisoku's Buddhist name after death was Shakushoo 寂照. and wrote hokku to greet him and his family. with millet at the back door . This poem was a congratulation to the younger brother of Chisoku in Narumi on the building of his new home. The statue of Basho was made by Takashima Kaemon. 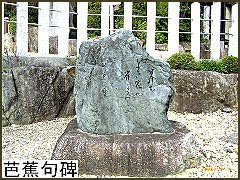 高島 嘉右衛門.
. MORE about Matsuo Basho and Narumi 鳴海宿 . seen from Mount Sanno Yama 三王山. 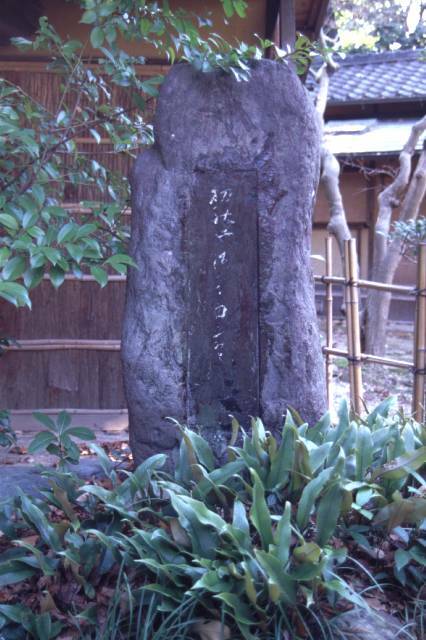 There is now also a memorial stone with Basho's poem. is this the plovers' cry? The sea at Narumi has since olden times been famous for its plovers.
. Matsuo Basho and his disciples . The statue of Basho is kept in this temple. 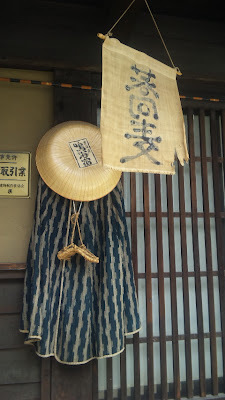 He was a transport merchant in Narumi 荷物問屋. 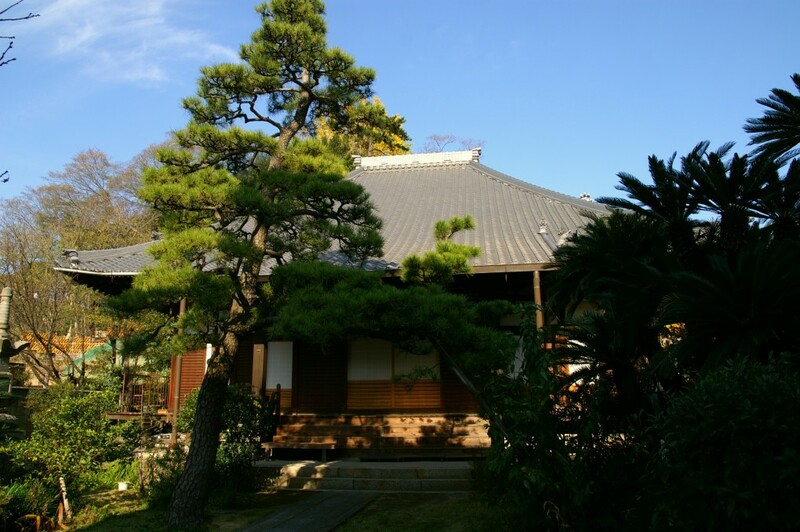 Basho visited Narumi in Autumn of 1688 貞亨5年7月10日立秋. 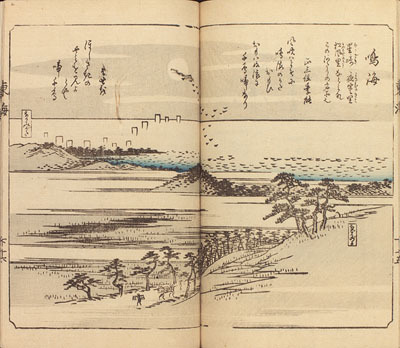 Basho wrote the following hokku as a greeting to his host, to praise the beautiful scene. The Haiku Meeting and Kasen with Jushin - 児玉重辰興行歌仙.
. Visiting places with Matsuo Basho 松尾芭蕉 .
. Narumi Jinja 成海神社 and Daruma . ***** . WKD : Millet (awa, hie) .